Today, I'm sitting down with Becka Crowe! One of the things I love most about this conversation is that Becka believes that wellness isn't solely rooted in food, but it's a mind, body, spirit trilogy. We initially met she interviewed me on her podcast and I hope you deeply enjoy this conversation about healing and spirituality journey as much as I did! Becka is recipe developer, blogger, podcaster, and advocate for all things wellness. After suffering for years with health complications, the big ah-ha moment came when she began cutting gluten and processed foods out of her diet. The several medications she was on were no longer needed and even her lifelong symptoms disappeared. Since healing herself naturally, Becka has dived deeper into this lifestyle and believes that health doesn't just end at food. Meditation, mindfulness, gratitude, and kundalini yoga have also become a big part of her life. She is the blogger behind Going Grainless and the co-host of the Gluten-Free Girlfriends Podcast. 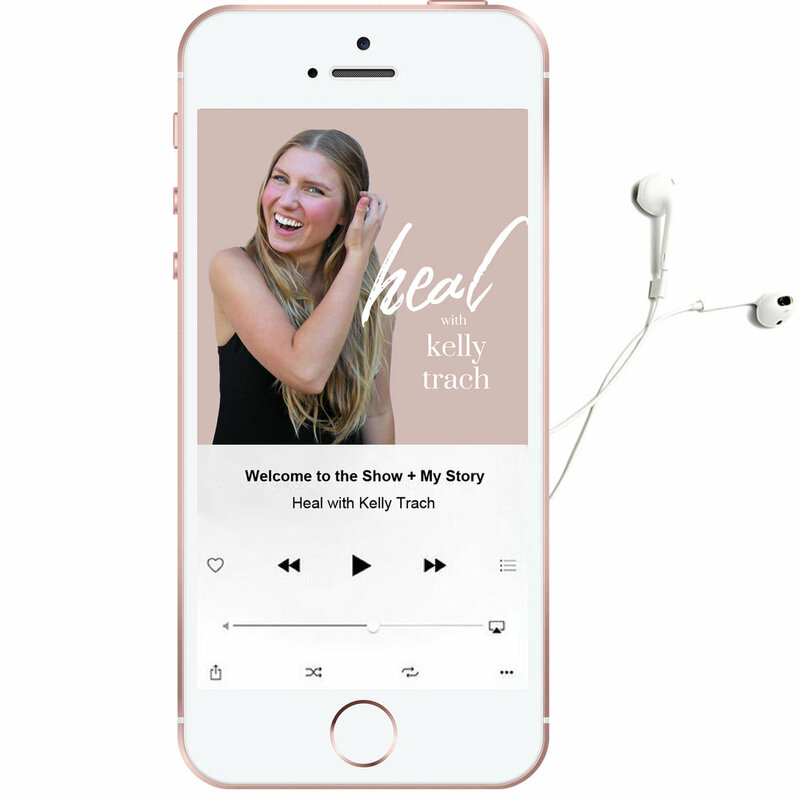 - How Becka got started with her popular blog, Going Grainless, and her podcast that she co-hosts with Rachael Hunt. - Becka's health journey to healing her immense intestinal pains and how she did her own in-depth research to find a holistic solution. - How Wheat Belly by Dr. William Davis resonated so deeply with her and was a major turning point in her recovery. - How her grainless diet improved her asthma, immune system, and enabled her to stop taking her PPI (proton-pump inhibitor) medication. - The topic of how sometimes the worst things in our lives can be the best moments for personal growth if we select the right mindset. (+ Becka vulnerably shares about losing her job and how it ended up being one of the best things that have happened to her). - Becka's favorite affirmations and the importance of staying resilient.